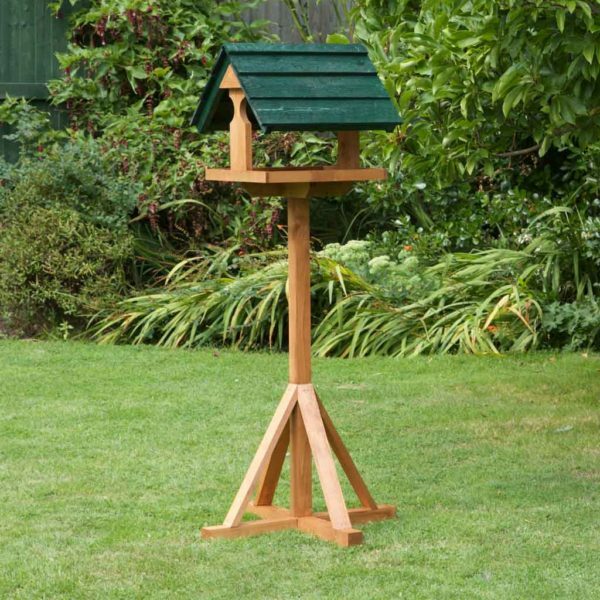 The Sarre Green Wild Bird Table is an attractive and striking design that doesn’t feel the need to as much blend into the garden, more stand out and enhance it. 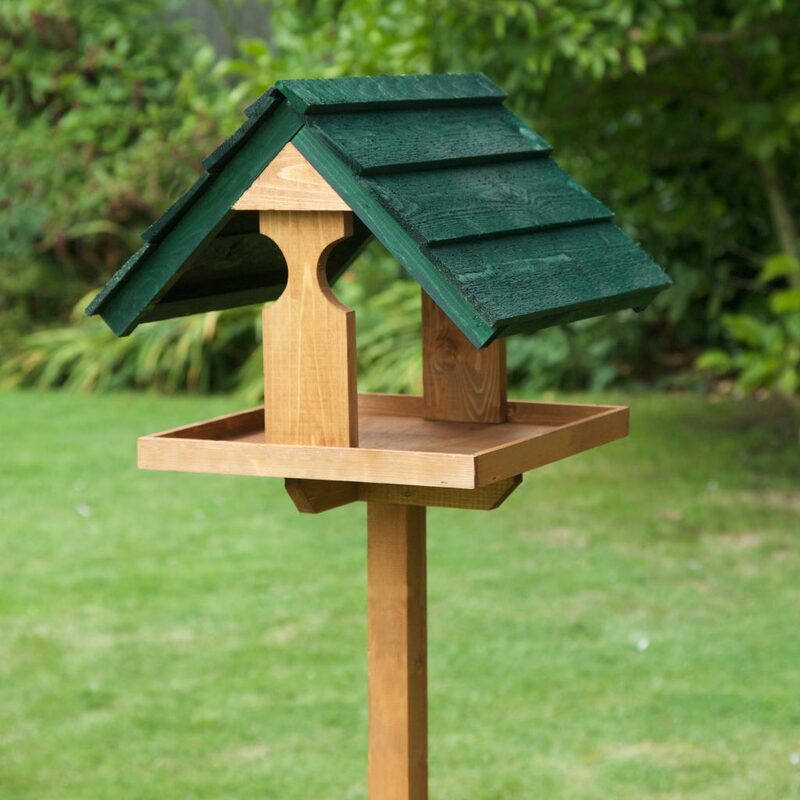 The Green in the title denotes the colour of the roof (in case you were wondering). 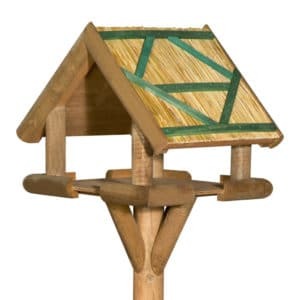 The thick feather edge wood used for the roof is also designed to come down lower on either side to help prevent larger birds accessing the central feeding platform. 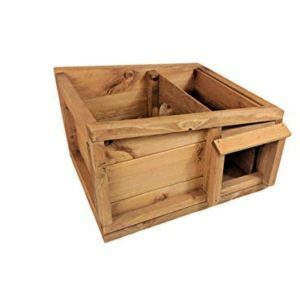 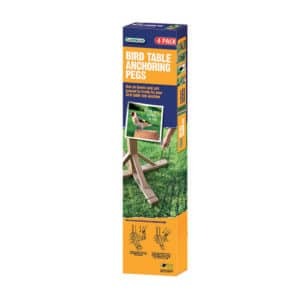 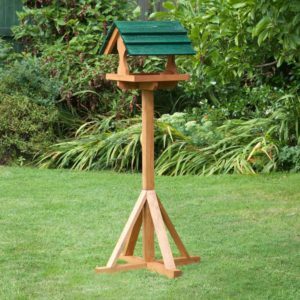 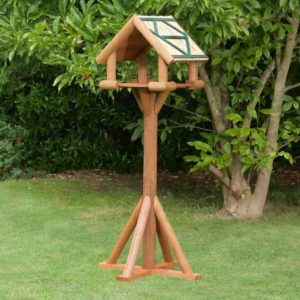 All of our garden bird tables and birdhouses come delivered with the minimum of assembly needed, and the Sarre Green is no exception. 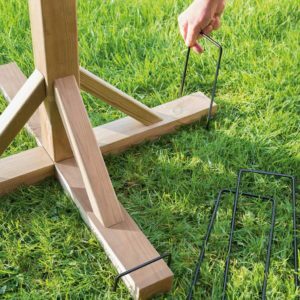 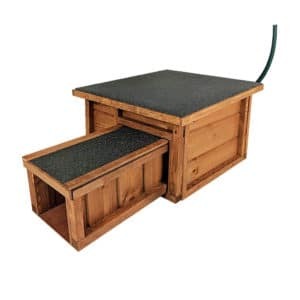 The table is supplied in two parts, the head just slides on to the stand and is secured with a locking bolt. 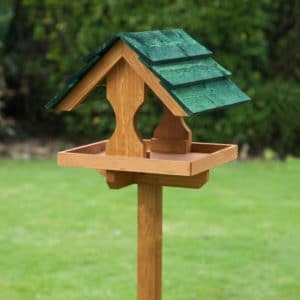 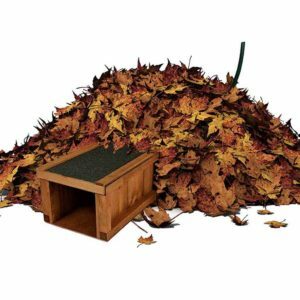 Making an excellent gift for that special gardener or twitcher, they’ll have it up and outside attracting wildlife in minutes.